Press X to Accio Harry Potter Quiz! 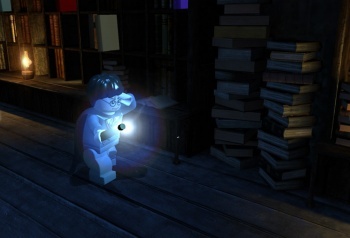 How much do you know about the games based on the Boy Who Lived? There's no question that the Harry Potter franchise is a blockbuster across all forms of entertainment. You have the books that started it all, the big-budget films, and naturally, you have tie-in videogames that go with them. With the first part of Harry Potter and the Deathly Hallows hitting screens at the end of last week, we thought this would be an excellent time to run a quiz based on Harry, Ron, Hermione and the gang. Unfortunately, we did that already back in June. So, we here at Chez Escape put on our Sorting/Thinking Hats, until we figured it out - a quiz about the Harry Potter games, of course!